Comedian Brent Pella will host the 2017 MOSO Talent Show, set for 7 p.m. Wednesday, April 5, in Taylor Performing Arts Center. 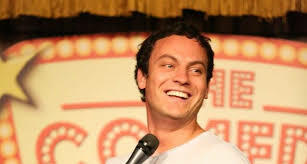 Pella – a comedian, sketch player and actor – hast appeared on MTV’s “Greatest Party Story Ever” and performed at the San Diego Comedy Festival and the Burbank Comedy Festival. He’s a graduate of the Upright Citizens Brigade and is a regular at the Hollywood Improv. The event will feature a variety of performances by Missouri Southern students. Free to the campus community, the first 200 students to present an ID will receive a T-shirt.